Lusaka National Park is the newest of all the Parks and was gazetted on 5 May 2011, opening to the public on 3 June 2015. It is a small City Park, based just outside of Lusaka, and was formed from degraded forestry land. It is just under 50 square kilometers, being just 11.75 km long and 5.25 km at its widest point. Before it became a National Park it was previously the Lusaka South Forest Reserve which is an important water catchment area for the whole of Lusaka. 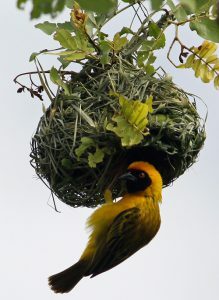 Over the years the Forest Reserve had been over-utilised by the local communities. Large trees were chopped down for illegal charcoal burning, there were unregulated agricultural uses and illegal quarrying took place. These all had reduced this once pristine miombo forest to what you see today. This major damage to the bio-diversity of the land left it with few wildlife species and posed a major problem for the long-term water systems beneath its soils. 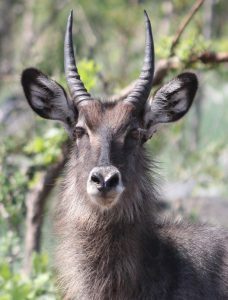 The Park was created to protect this fragile water catchment area and to provide accessible and affordable wildlife safari experiences to Lusaka residents and visitors. The longer term plan is to also serve as a wildlife rescue and rehabilitation centre. 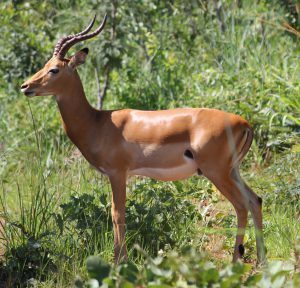 There were few small wild animals in the Forest Reserve and once the Park was fenced, a variety of wildlife species were brought in to stock the Park from Zambian Game Farms. Nineteen different species, including Angolan Giraffe (Giraffa camelopardalis), Blue Wildebeest (Connochaetes taurinus), Burchell’s Zebra (Equus quagga burchellii) and Sable Antelope (Hippotragus niger) were slowly introduced into the Park. 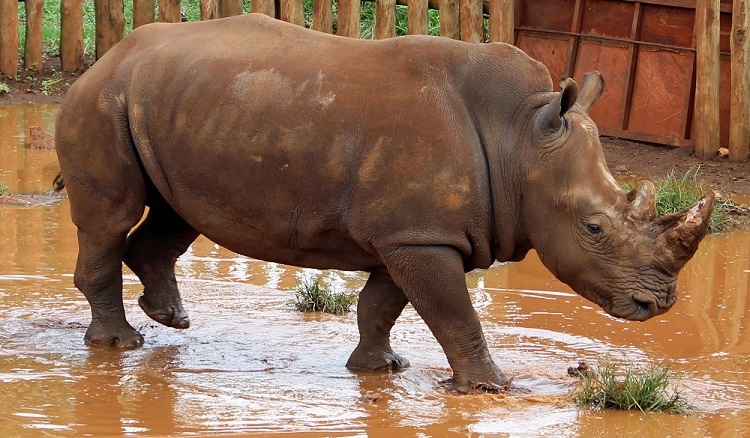 Two Southern White Rhinoceros (Ceratotherium simum simum) were also brought from South Africa. Sadly the female recently died from natural causes, but the male lives within the Animal Sanctuary. 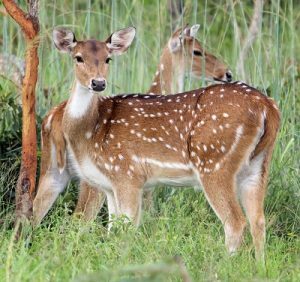 There are also three non-indigenous or ‘exotic’ species that were introduced into the Park – the Asian Axis or Chital Deer (Axis Axis) were re-located from Munda Wanga; and two native South Africa antelope species – Nyala (Tragelaphus angasii) and Blesbok (Damaliscus pygargus phillipsi). So far 71 different bird species have been identified as resident birds are beginning to make the Park their home and migratory birds are once again visiting the forest. Since the Park opened in 2015 it has proved to be a popular tourist attraction. In 2016 it was the second most visited National Park for Zambian Citizens and Residents, receiving over 16,800 visitors. It is very popular with local schools and groups and we are supporting the newly proposed education and interpretation centre by developing new initiatives to inform and educate visitors about the importance of wildlife conservation and the bio-diversity within this small Park. Nearly all the wildlife you find there today was introduced. They are slowly adapting to their new terrain and becoming used to being habituated to busy City Park life. ARC is supporting the reintroduction of the large mammal species and aims to improve the ecology of the Park’s eco-system as part of conserving the important water catchment systems. Get there early! – The gates open at 6am and wild animals are more active during early mornings and later in the afternoons. When they rest in the shade during the hotter parts of the day they are far harder to spot. Drive slowly – it is much easier to spot animals and they are less likely to be startled and run away from your vehicle. Look out for the smaller species who also use the roads – such as tortoises and dung beetles. Although the speed limit is 40km p/h in the Park, the roads are quite rocky so driving slowly is gentler on your vehicle. Listen – wind down your windows and keep alert to the sounds of the bush – birds calling or wildlife alarm calling can lead to some great sightings. The playing of music or radios disturbs the animals and is not allowed anywhere in the Park. Stop at a waterhole – find a good place to view a waterhole and see what wanders in to drink. Do not get out of your vehicle as this will scare off any thirsty wildlife that might have walked some distance to find water. Turn off your engine – noises from vehicles often disturb wildlife so even in warmer weather, sacrificing your vehicle’s air-con for a few minutes can lead to some great wildlife watching. Respect the wildlife – animals have right of way on roads. Never try and drive off-road as you might seriously damage your vehicle and you will damage the vegetation. Instead, use binoculars or the zoom function on your camera for a closer look. Be patient – enjoy your surroundings and if you are trying to get a better sighting or photograph never shout, whistle or get out of your vehicle as instead of attracting an animals’ attention, you will only scare it away. Chat to other people – you can ask the Scouts where you are most likely to find certain animals within the Park and also chat to other visitors to find out what they have seen and where. Take binoculars – these are great for a closer look at animals and birds and can also be used instead of a zoom lens for your camera or phone-camera. Bring water, drinks and snacks – make sure they are easy to reach in your vehicle just in case you stay out longer watching the wildlife. Always remember to use the rubbish bins provided or take your rubbish home with you. Do not throw rubbish out of your vehicle or leave it on the ground at the picnic site as birds and animals can be seriously injured as they cannot digest plastics, metals or human foodstuffs.